WHY CHOOSE ALAMEDA PIPE & SUPPLY CO ? Over 80 years of industry experience. The company differentiates itself from the competition by leveraging, its strongest asset; the employees whose product knowledge is unmatched in the steel industry. Alameda Pipe prides itself on being friendly, authentic and reliable. Alameda Pipe provides excellent customer service through energetic and fun employees who possess a strong work ethic. Whether it's a 100 foot tall structural sign pole or a 10,000 cubic foot custom furnace to a structural beam assembly, Alameda Pipe has done it all when it comes to metal fabrication. Alameda Pipe is a family-owned and operated business. 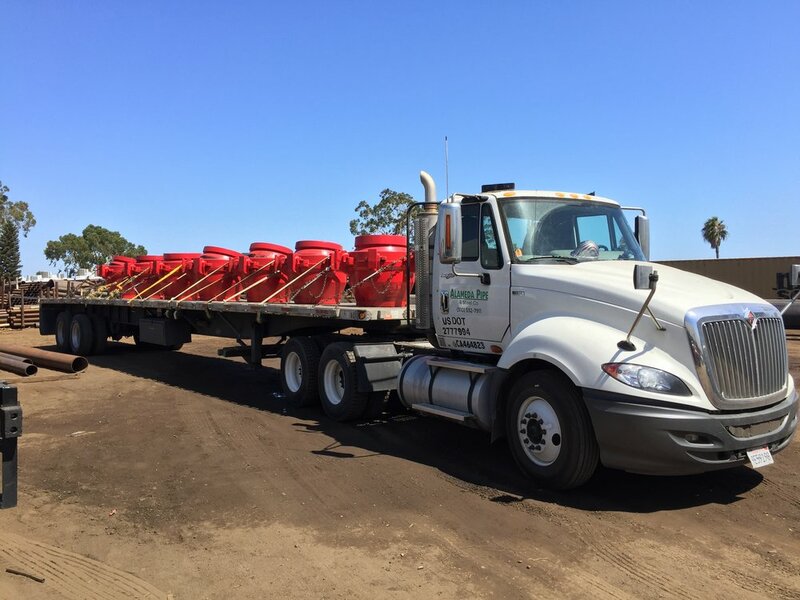 Founded in 1935 as a used pipe and valve distributor, Alameda has adapted following the times and continues serving the Los Angeles and Southern California construction industry. Alameda Pipe & Supply is located in Greater Los Angeles, close to the 110 and 91 freeways. We primarily service all of Southern California but also extend to Arizona, Nevada and the rest of California.